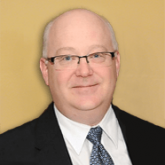 Mike English, Esq., is Vice President of Trust Services for Life Enrichment Trust. Mike earned his undergraduate degree from Youngstown State University and his Juris Doctorate degree from the Ohio Northern University. After graduating from law school, Mike worked for a prominent law firm in the greater Pittsburgh area, gaining a wide variety of legal experience. He subsequently accepted a position as Solicitor for the County of Butler (Pennsylvania), where he served for six years before joining Life Enrichment Trust. As Vice President of Trust Services, Mike enjoys working closely with beneficiaries, their supporting family members, and provider agencies, as well as True Link, in providing an industry-leading level of service and satisfaction. Supplemental Needs Trusts for Individuals with Disabilities. We Protect Assets. We Preserve Eligibility. We Enrich Lives. We offer multiple options to protect your assets and avoid spend down! Low minimum account balance requirements…you can even set up an account with as little as a $500 initial deposit! Quick turnaround times with disbursement requests. Your trust is accessible when you need it! Through the three types of legal Supplemental Needs Trusts currently available, Life Enrichment Trust, Inc. (LET) offers caregivers and family members a secure means to financially provide for individuals with disabilities receiving Social Security, Supplemental Security Income (SSI) and/or Medical Assistance (MA) without endangering their source of monthly income, medical insurance, or other government benefits. These same types of trusts can also be used to enable an individual who is attempting to create eligibility for themselves to protect assets in excess of the government-imposed limitations that are preventing them from a making a successful application for needed benefits. All three types of supplemental needs trusts are available to any individual who has a disability as defined by Social Security, or Medicaid. We offer multiple options! Needs vary with each person, and that’s why we have multiple options for you to consider when preserving assets. We have low, easily understood fees! When others don’t, we offer low enrollment amounts–you can even set up an account with as little as a $500 initial deposit! Did you know some trust account services will not allow you to set up an account unless you have $100,000 or more? When others don’t, once payback is complete, we offer generous handling of any “Residual Amounts”! Did you know some trust services will not release ANY of the residual amounts? You’ll encounter none of these issues with Life Enrichment Trust!